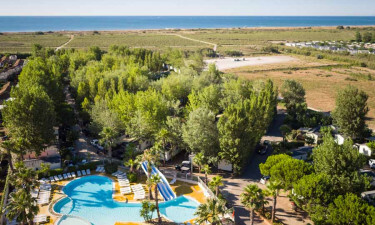 Les Sablines is a luxury camping site that can be found on the coast of France. 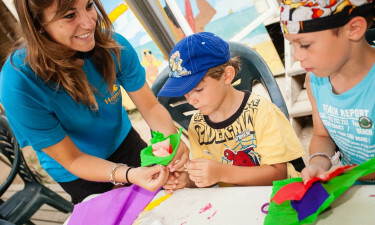 People who are looking for a little pampering while they stay on this stunning LUX-camp site will find plenty of great amenities here, while there are also lots of things to do onsite such as playing table tennis. A beautiful beach is just a short stroll away, while the site is also situated conveniently close to a number of prime daytrip destinations. What Makes Les Sablines So Special? The ocean is situated just 500 metres from Les Sablines and guests can follow a natural path that winds its way through the sand dunes to reach the water. soaking up the sun on the sand is one of the most popular pastimes among those who choose to stay at this luxury camping site, while water babies will find plenty of great aquatic activities that are just waiting to be enjoyed. The kids will be in their element at the children’s play area, which comes complete with swings, a large climbing frame and a slide. A special entertainment programme is designed for children of all ages to make sure that they have plenty to do when their parents want some alone time, while the large putdoor swimming pool also boasts a number of waterslides. People who have a strong sense of adventure will want to allow plenty of time to explore the area that surrounds Les Sablines. Driving along the winding coastal roads is a real treat and there are also plenty of scenic spots to pause while soaking up impressive ocean views. Visiting a traditional French village is also an experience that should not be missed and this part of France is also famous for its magnificent historical chateaus and other buildings. One of the great things about luxury camping is that guests will have plenty of time to let their hair down in the evening. 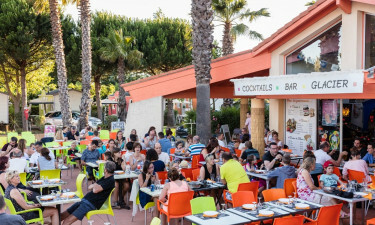 Les Sablines features an excellent restaurant where guests can indulge in a large number of delicious French dishes washed down with locally produced wine. The nearest town is just three miles away and there are also plenty of other eateries to choose from here as well as bars and other establishments that offer various different types of evening entertainment. The great thing about a camping holiday is that guests can do as much or as little as they choose and there is really no need to even venture far from the mobile home. The large fixed units come complete with everything that guests need for a very comfortable stay, including cookers. Guests can have fun creating home cooked meals using fresh and packed ingredients that are available at the onsite supermarket.